10 1/4" Blue Rain Drop Art Glass. Each piece is handmade blown glass mounted on a black base. Colors and sizes will vary slightly. Price includes a laser engraved plate attached to the base. 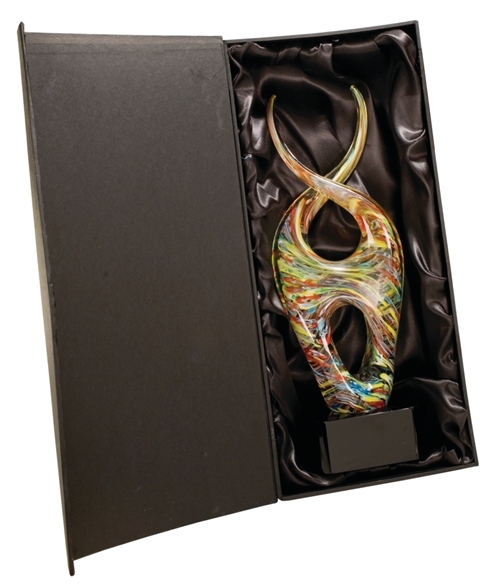 Art Glass pieces come packaged in a lined gift box.